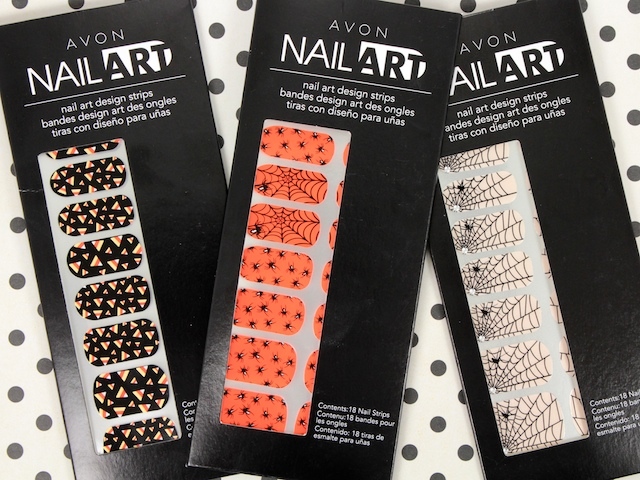 Halloween is a couple weeks away, and if you don't have the knack (or the time) for ghoul inspired nail themes, these Avon nail strips* may be just the thing for you. Each set comes with 18 nail strips and I had no trouble finding one to fit comfortably on my nails. They're often too long for my nail, but removing the excess product was easy. 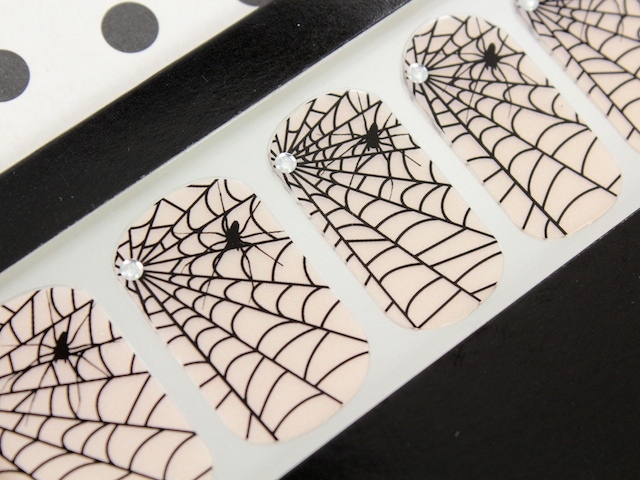 One thing I've noticed is that it doesn't come with an emery board, unlike other nail strip sets. Although most people will probably have emery boards in their nail arsenal, I thought it was something worth mentioning anyway. I will say that they felt a bit more "plastic-y" than other nail strips I've used, but I suppose that helps them look super shiny on the nails. Nonetheless, these strips were easy to apply and even easier to remove. 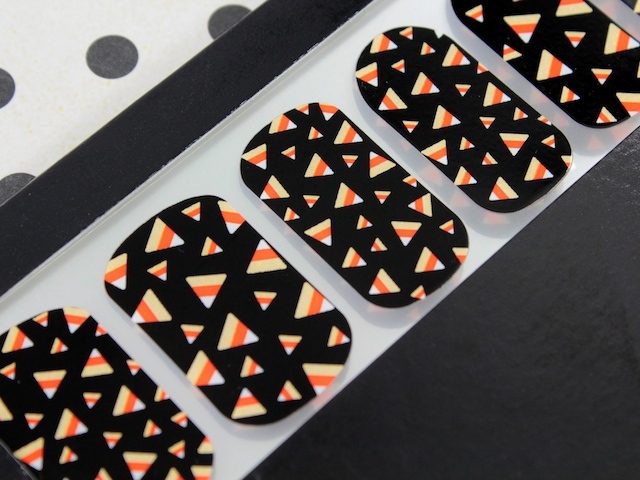 That's what I love about nail stickers -- application in minutes, no dry time, and quick removal. I think my favourite design out of the three is All Webbed Out. I love the bejewelled spiderweb. Which is your favourite? 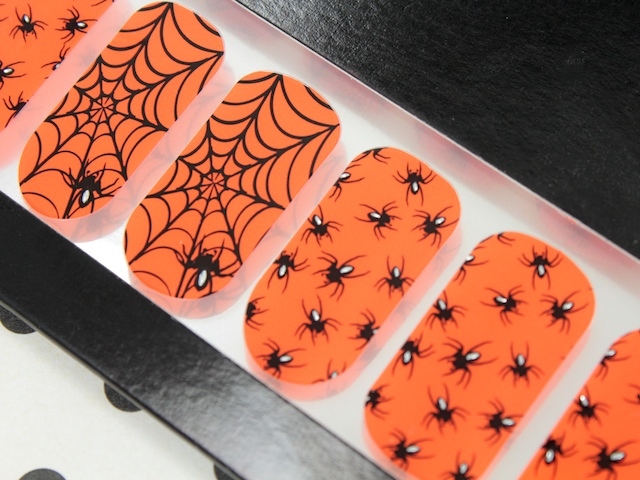 Sally Hansen has some cute Halloween themed nail strips, too. I especially love the Pac-Man-esque one :). They're currently on sale right now, though... 1 for $8.99, 2 for $15.98, or 3 for $20.94! My favorite out is crazy for candy because the other ones include spiders and I just find them so creepy!! 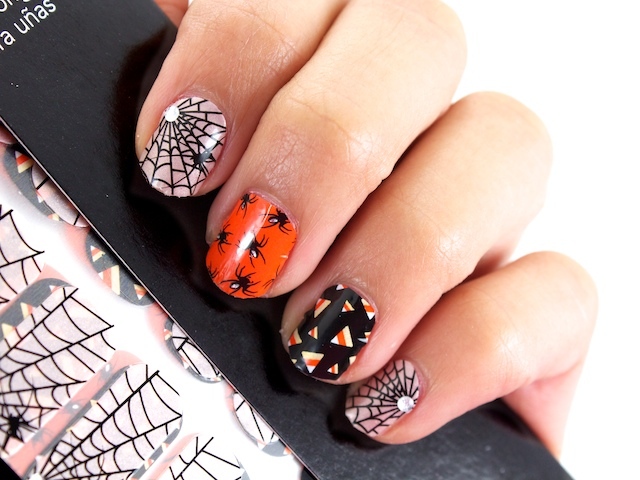 I will definitely check into those because I love nail strips!! Me, too! I bring the Danmari palette any time I have to travel -- it's so handy! Don't you just love Tarte blushes? I find they last so long on the cheek! They stay on for SO long, I was pretty impressed with their longevity. And I agree -- spiders are creepy! OMG that Hourglass palette and the lip crayons are SUPER pretty!